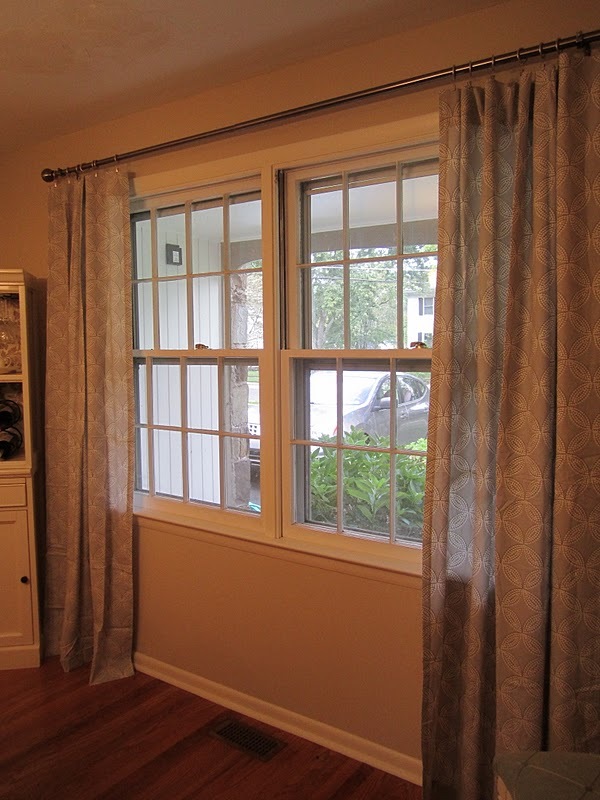 Swoon Style and Home: Shanna's Home: Curtains! Glorious Curtains! I am usually so trigger-happy when it comes to great finds (especially if I have a coupon). When we moved into our new home, I was amazed at all the coupons that showed up from great places like West Elm, Pottery Barn, Crate & Barrel, Lowe's, etc. I have had a 10% off coupon from West Elm burning a hole in my pocket since early June. I wanted to use it toward something great and really get my money's worth. Did I ever! I love them! I'm on the fence about adding some bamboo blinds (in the same wood tone as the floor) at the top of the window for some texture. Right now, I am ok to hold off. What do you think - yes, no or maybe so? Don't you love all those coupons you get after you move? That's the best. I still have my west elm and it expires on Friday!!! I'm probably not going to be able to use it :( The curtains look great! I think the bamboo blinds would be great. 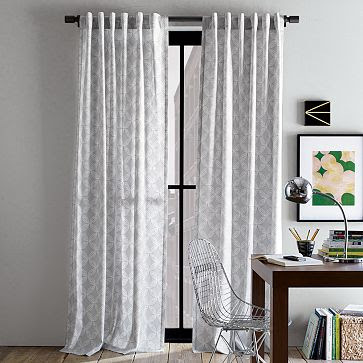 I love layering window treatments. I love these curtains, great choice. In fact I've been eying them myself. Glad to know you like them. We got a few coupons when we moved last year, but I'm sure they all expired by now! Love your blog, the design/look is so nice! 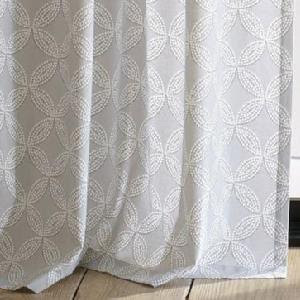 I came across your great blog after googling these curtains...wanted to see them in an actual home. And they look so nice in yours. Can you tell me if the background color is light gray or does it have some blue in it? It's hard to tell and the west elm site doesn't describe the background color. Also, are they really thick or more sheer? You got such a great DEAL! I am glad I stumbled upon your blog. Annie, thank you! The color is a true grey and quite light. They're a nice medium weight - not too sheer and not too heavy either. Thanks for the comment!